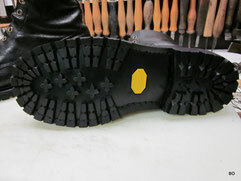 All repairs of bootlegs (sewing,stitching, riveting, replacing zippers, etc...) are possible. 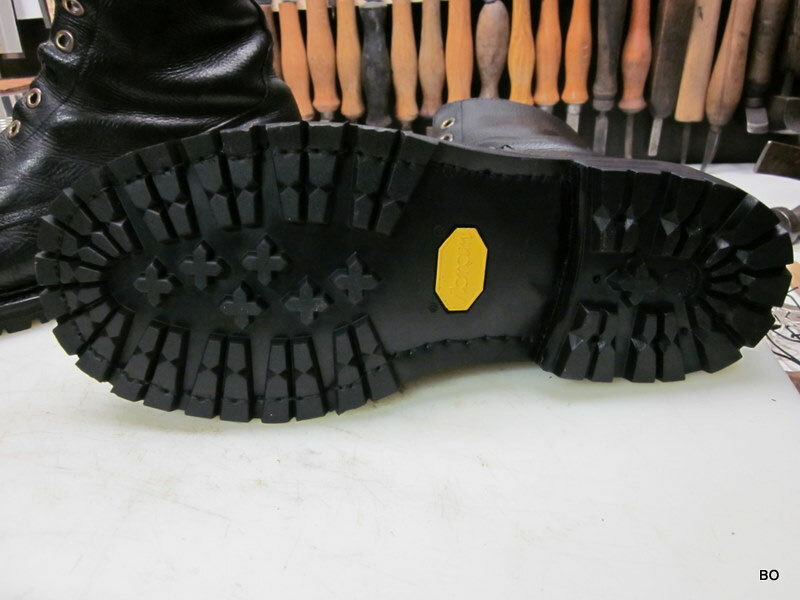 Because all shoes and boots are not allways reparable anymore,please contact me first. Below you will find some examples of repaired boots (soles, entre-soles, heels). 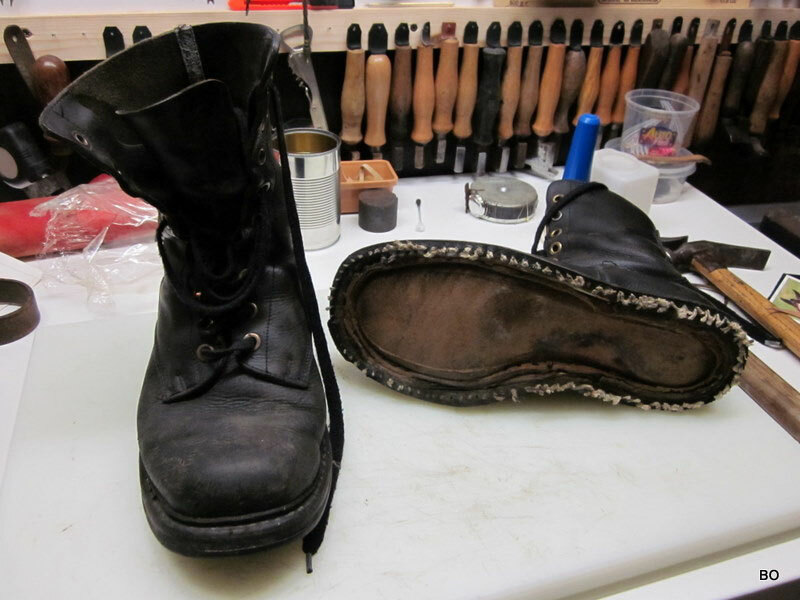 Used and worn army boots with sole and heel removed (right). 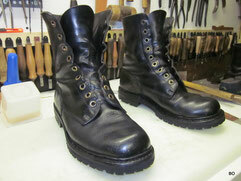 Same boots completely restaured with new soles and heels. The new sole is fully handsewed at the edge !